With our long, cold winters, we New Englanders face a stiff challenge to reduce our carbon footprint and still heat our homes. One tool that will be crucial to meeting this challenge is the heat pump. For many homes, they are already cost-effective. For others, that day is coming. Green Energy Consumers has organized a few regional heat pump group-buy programs over the last few years to help reduce the cost of installation. We're hoping you can tell us what regions we should focus on next for a summer 2019 heat pump group-buy. Please express your interest in a heat pump system by filling out a short survey. Anyone can participate in this program, so please forward this blog post to friends. If we find enough interested folks in an area, we will reach out to cost-competitive and experienced installers in that region to see if they’d be willing to offer a reduced rate for installations. Like a refrigerator, heat pumps use a temperature-sensitive fluid, a “refrigerant,” to move heat from one area into another. An electric pump moves the refrigerant between a compressor outside and an air handling unit inside. As the refrigerant passes through the air handler, it either absorbs excess heat (in summer) or disperses excess heat (in winter), making your home cooler or warmer according to your needs. Because only a small pump is needed to move the refrigerant through the inside and outside circuits, heat pumps yield a great deal of heating and cooling. When installed in homes with the right configuration, consumers can greatly reduce their carbon footprint while also saving money. Yes, the heat pump installation and the increased use of electricity costs money, but in many circumstances, there will be significant savings on heating oil, propane, or electricity (if the heat pump is replacing electric resistance, or baseboard, heat). Heat pumps can also reduce gas bills, but the relatively low cost of gas makes a switch of that type less economically beneficial. The most common type of heat pump is the ductless mini-split, which can be installed in homes without ductwork (or with it), either to augment or to completely replace an oil, propane or natural gas burner. 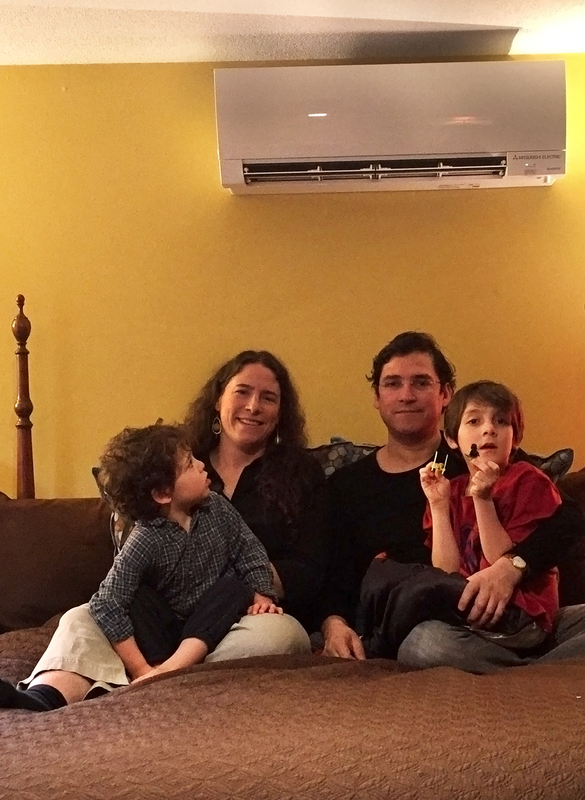 In a ductless heat pump system, one outside unit is connected with one to four inside “heads.” The heads house a small fan that blows air across the refrigerant line, pushing warmed or cooled air into the room. Where are heat pumps most cost-effective? A heat pump is an ultra-efficient type of electric heating, three times more efficient that electric baseboards, the most common form of electric heat. For this reason, heat pumps are definitely cost-effective in homes that are heating with electric baseboard. They are often installed in homes heated with propane and oil, as well. They’re also more efficient than older air conditioning, so if you need a lot of cooling, they might save money for you too. Heat pumps can also be added to renovated attics, basements or additions that were not planned for when your central heating plan was first created. Homes with open plan living areas or with multiple zones can also effectively use heat pumps. 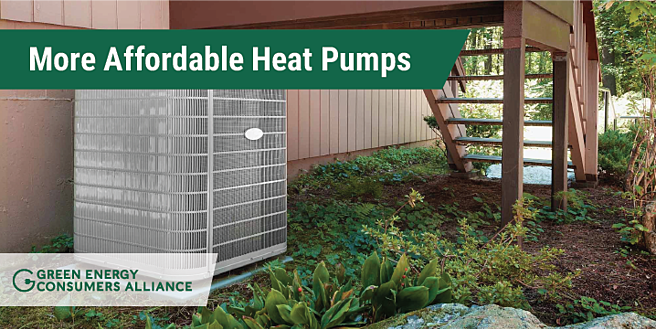 Both Massachusetts and Rhode Island offer rebates, as well as including heat pumps in their 0% financing for qualified high-efficiency upgrades. In Rhode Island, EnergyWise offers rebates on heat pump installations and also offers referrals to qualified technicians. Mass Save offers rebates and points you to vetted HVAC contractors who have participated in its programs. Mass Clean Energy Center has good information and links to vendors, although it no longer has rebates for residential heat pump installations. In MA, Mass DOER has a relatively new program called Home MVP that supports heat pump installations in the context of whole house energy savings—and also has a list of approved contractors. We’re all about using consumer demand to speed up the transition to a low-carbon future. Heat pumps are expensive pieces of technology and not yet common enough that it's easy to find an installer with good experience and good pricing. If we’re able to gather a group of potential buyers together, we can reduce the marketing costs for potential installers, by streamlining the referral process. This yields a savings for the installer, which they can pass on to you. Please fill out this form to find out if this summer might be a good time to transition your home away from fossil fuels.